Love this Mommy & Me MONNALISA JAIKOO Girls Blue Jungle Print Dress. 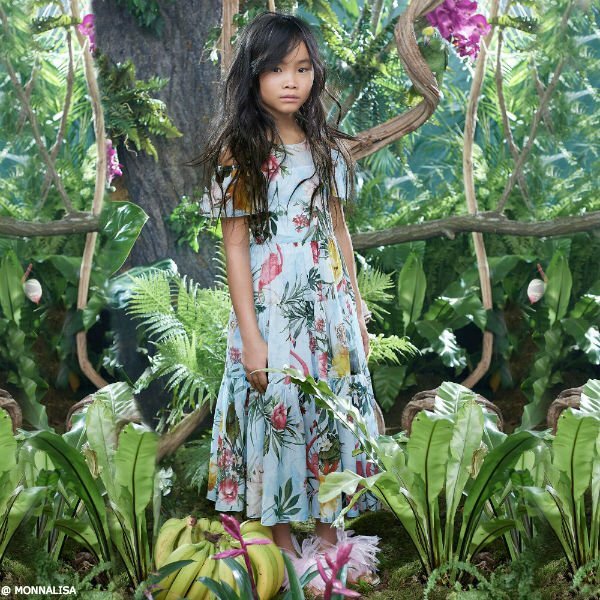 The perfect look for girls and moms, this floaty and lightweight by Monnalisa features a stunning blue jungle print. 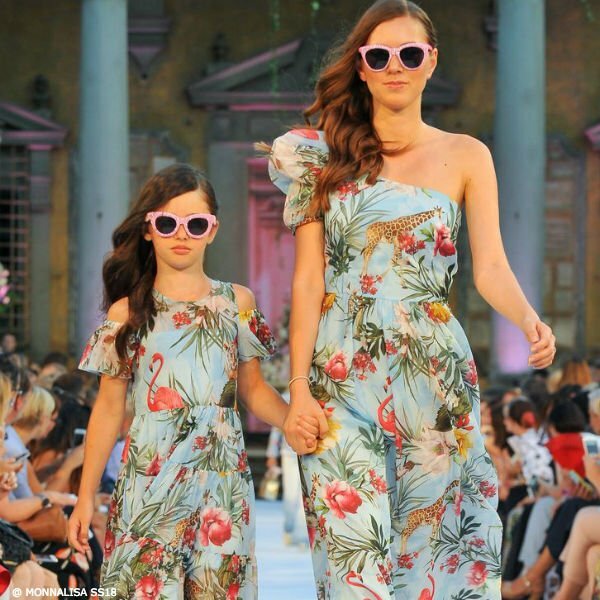 Featured on the Spring Summer 2018 Runway Show at Pitti Bimbo Kids Fashion Week in Italy, the gathered paneled skirt is long and flowing, and it has open shoulders with pretty ruffled sleeves. Shop online. Ships Worldwide.